Rome [Italy], May 20 (ANI): Indian and Kazakhstan duo Sania Mirza and Yaroslava Shvedova crashed out of the Italian Open after suffering a straight-set deaf against Taiwanese and Swiss duo Yung-Jan Chan and Swiss player Martina Hingis on Saturday. Third seeds Mirza and Shvedova lost 3-6 6-7(7) lost to second seeds Chan and Hingis in the semifinal. In Men's Doubles, Indian male tennis star Rohan Bopanna and his Uruguayan partner Pablo Cuevas lost to fourth seeds Pierre-Hugues Herbert and Nicolas Mahut 6-7(5), 7-6(2), 10-12 in the quarterfinals to go out of the tournament. 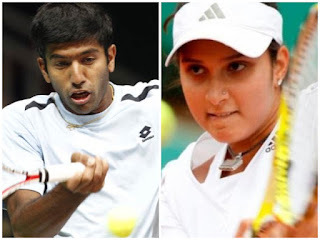 India's challenge at the Italian Open ends with Sania and Bopanna's exit.